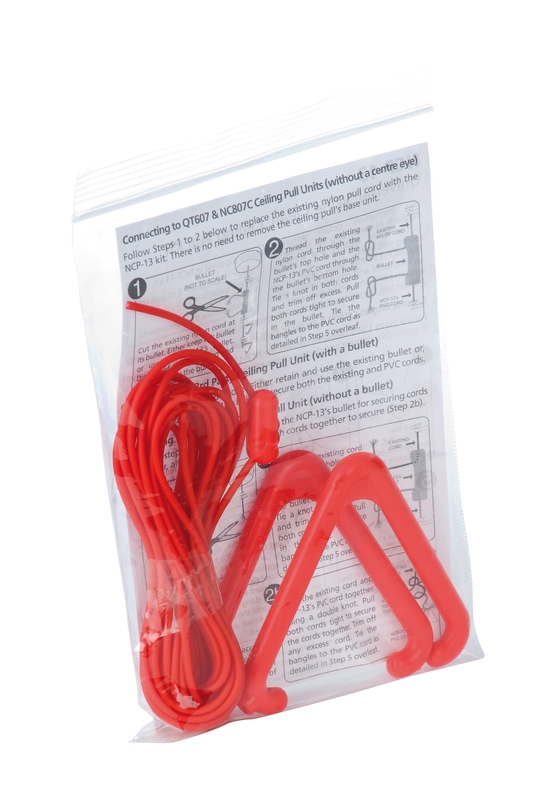 A BS8300 compliant anti-bacterial wipe-clean pull cord pack suitable for use with C-TEC's Quantec and 800 Series ceiling pull units. 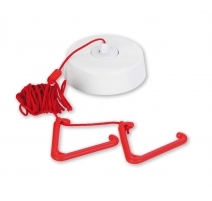 Contains 3m of red vinyl encapsulated cord, two triangular bangles and a red fixing bullet. Cord has integral properties that can help prevent the spread of infections such as MRSA, e.coli, c.diff, S Aureus and the Norovirus. Ideal for use in hospitals, nursing and care homes, doctors’ surgeries, clinics and any other area where infection control is imperative. A simple and cost-effective means of updating existing ceiling pulls to comply with the stringent hygiene regulations of many health authorities and inspection bodies. Easy to clean using a clean cloth and mild detergent. Also compatible with many other manufacturers' ceiling pull units. Product dimensions (mm) 3m pull cord; 2 x triangular bangles. 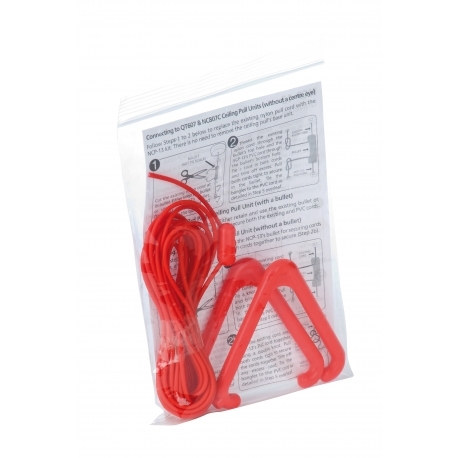 Construction & finish Red vinyl encapsulated cord with integral properties that help prevent the spread MRSA, e.coli, c.diff, S Aureus and the Norovirus; 2 x red plastic ceiling pull bangles; 1 x red fixing bullet. Notes Always test the ceiling pull unit for correct operation when installation of the NCP-13 is complete.